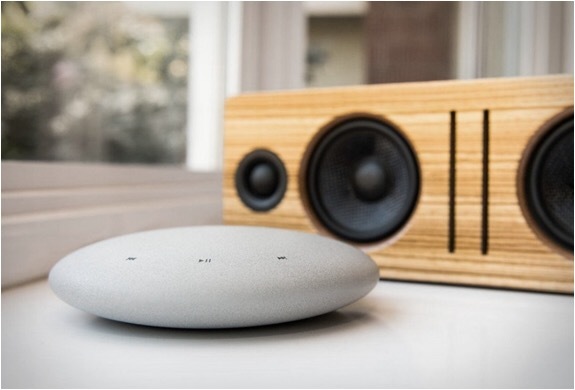 Cobblestone is a new music device from MUZO that promises to bring lossless audio to your home via WiFi and the lossless FLAC audio codec. With all of these devices, I’m holding this in reserve until I get a chance to hear it in person. Although I’m probably not the best judge. After decades of loud music my hearing isn’t what it used to be. 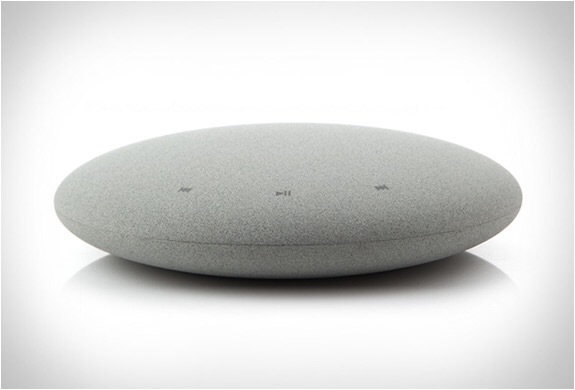 Developed with Linkplay Technology, Cobblestone enables you to share music throughout your house. Cobblestone works with almost every sound system, turning it into a wireless streaming audio hub. True to today’s tech, you get a smartphone app that you use to control the device. Cobblestone features both AirPlay and DNLA so it works with pretty much every smartphone on the market, and it allows the app to talk to other apps like iTunes. According to the website and the video below, sound quality is guaranteed with WiFi streaming. The beautiful minimalist design blends in with your decor, and features a simple touch based UI that allows you to forgo the smart phone if you choose. You can purchase it now from Amazon, for a reasonable price. It lists for $55.95 which isn’t bad for what this does. Posted in Design and Art, Music, Technology and tagged Cobblestone, DLNA, FLAC, MUZO, Sound System, Streaming Audio, Technology on June 18, 2015 by Author.